Portable Air Conditioning Aircon247.com | discount portable air conditioning, fixed air conditioning, easy install air conditioning. 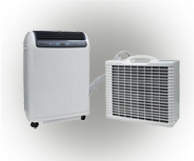 Split portable air conditioning units have separate evaporator and condenser units connected via two detachable refrigerant pipes. Split portable units offer the advantage of lower noise and smaller sized indoor unit due to the external location of the compressor. Our stylish range of compact and quiet portable air conditioning units are ideal for use in a multitude of domestic and leisure applications. These units are built to commercial standards and should not to be compared to typical units found at DIY stores. 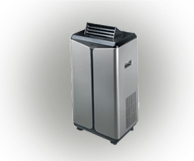 Simple to use, energy efficient, stand alone portable air conditioning units for any office or commercial application. The very latest in technology means the quietest, most effective portable air conditioning units available with the lowest noise levels available on the market. Our range of heavy duty portable air conditioning units are built to cope with everything industry can throw at them. Massive cooling duties mean they can be used for spot, comfort or process cooling and they are particularly well suited to data centre cooling. Here at Aircon 24 7 we have a full range of Portable Air Conditioning Units to cater for many domestic and commercial needs. Our range includes the Split Portable Air Conditioning Unit which comes with a separate evaporator and condenser and connects via detachable refrigerant pipes. 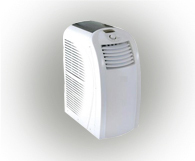 The main benefit of a Split Portable Air Conditioning Unit is the lower noise emission and smaller size, making them perfect for small offices and homes. 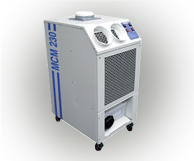 At aircon247.com, we have the largest and most diverse range of portable air conditioning units for sale in the UK. This enables you to choose the right portable air conditioning unit that will provide year round comfort when you need it and where you need it. Select the sub categories above to see the most appropriate type of portable air conditioner and best selling units for your particular requirements or see the most popular products from across the entire portable range below.